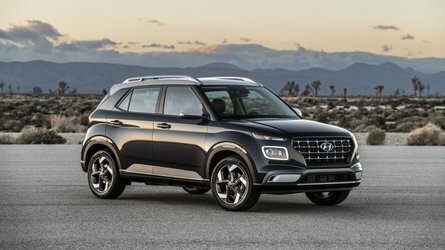 More power and sharper looks, but weight is still an issue. "The R8 occupies a special position for Audi in every respect," says Michael-Julius Renz, Managing Director of Audi Sport GmbH. "Now it's even stronger and faster." Fans of the R8’s unique balance of performance will be delighted. But does the already excellent Audi even need an upgrade? 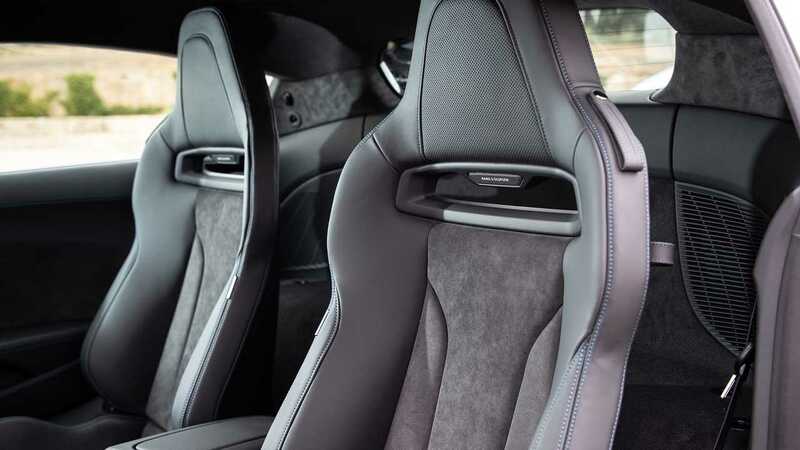 A rhetorical question, sure, but one the team in Neckarsulm, home of Audi’s RS brand, didn’t even bother to ask – of course the R8 would get an upgrade. 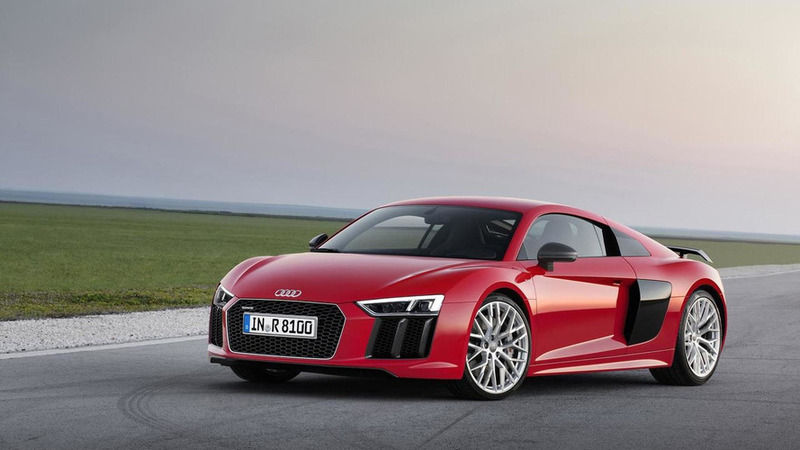 What's New With The Audi R8? So, let's take a closer look at what Audi Sport has been up to. 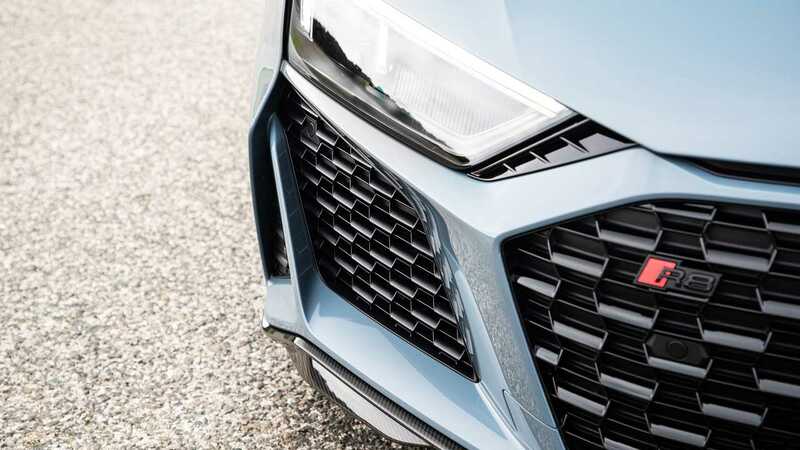 The R8’s single-frame grille is wider and flatter. Strong bridges divide the large air intakes, while slits at the very front of the hood are reminiscent of the iconic Sport Quattro (and curiously enough, also of the new A1). A new, wider front splitter channels air under the R8, while an air outlet in the rear fascia forces air through the enormous diffuser. 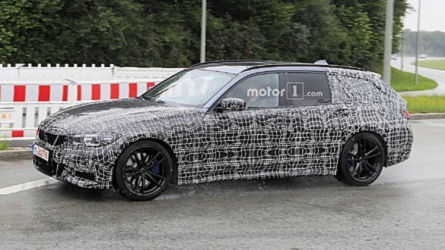 At each side of the rear fascia, there’s a Howitzer-sized, oval exhaust tip. Overall, the new R8 further emphasizes its width, even though the dimensions remain the same. In the engine compartment, engineers moved the air filter to a new, three-part cover, available in either plastic or carbon fiber. 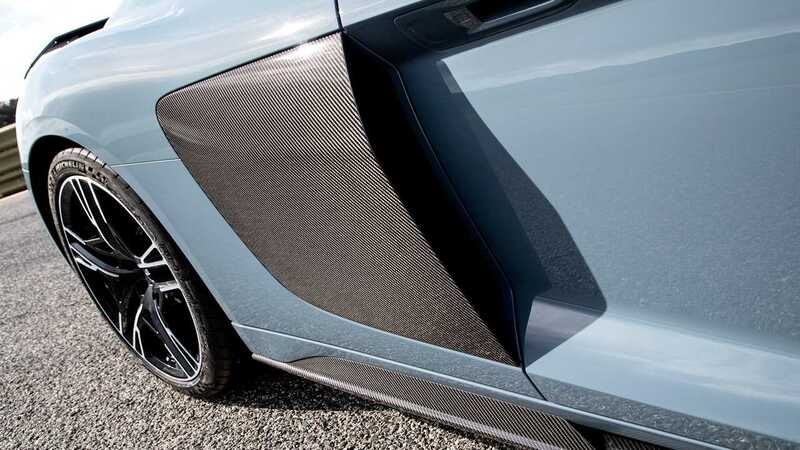 R8 customers can choose from three exterior packages, which set different accents on the front splitter, sill strips and diffuser. On request, Audi will paint the four-ring logos on the R8’s exterior in high-gloss black. Of course, along with some other tweaks. 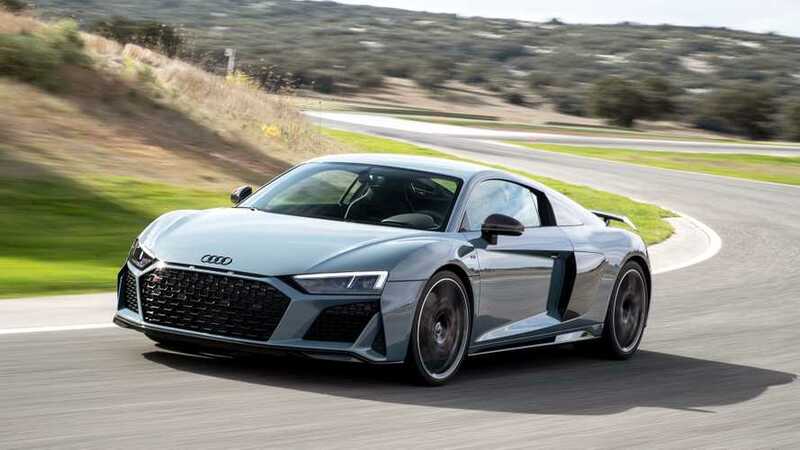 The 2019 R8 spent plenty of time in Neckarsulm’s gym, beefing up the 5.2-liter V10 to 562 horsepower and 406 pound-feet of torque, gains of 30 hp and seven lb-ft over last year’s model. With the R8 Performance, the improvements are smaller, with just nine hp and 15 lb-ft, bringing the total to 612 hp and 428 lb-ft. 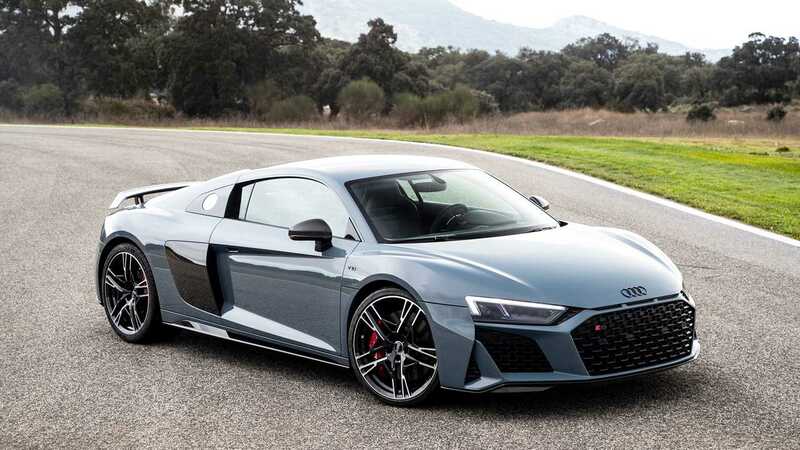 In other words, the refreshed R8 is on par with its Italian sibling, the Lamborghini Huracan, although if power is all you care about, the Huracan Performante is still king of the hill with 640 hp. 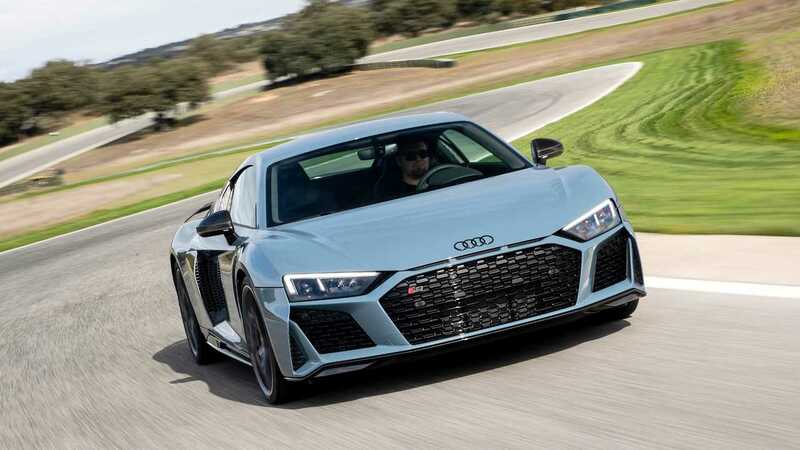 According to Audi, modifications to the chassis of the R8 should provide even more stability and precision. 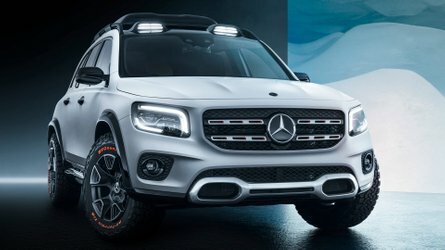 Engineers retuned both the optional dynamic steering and the standard electromechanical power steering. It’s difficult to say if the 2019 R8 is better than its predecessor without comparing the two side-by-side. 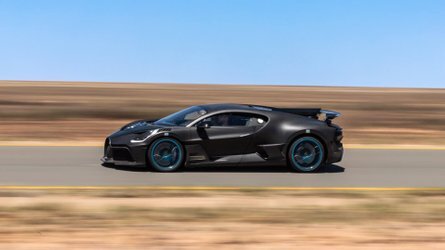 While we didn’t have the previous vintage available, the updated version fascinated enough on its own, especially in an environment like Spain’s Ascari circuit. Ascari's corners come into my field of vision almost in time-lapse, but fortunately, the braking distance of the R8 from 62 mph has been reduced by up to five feet and from 124 mph by 16.4 feet. A direct comparison shows the incredible precision of the optional dynamic steering. Let me put it this way: It’s a scalpel, while the normal steering is a very good Santoku kitchen knife. 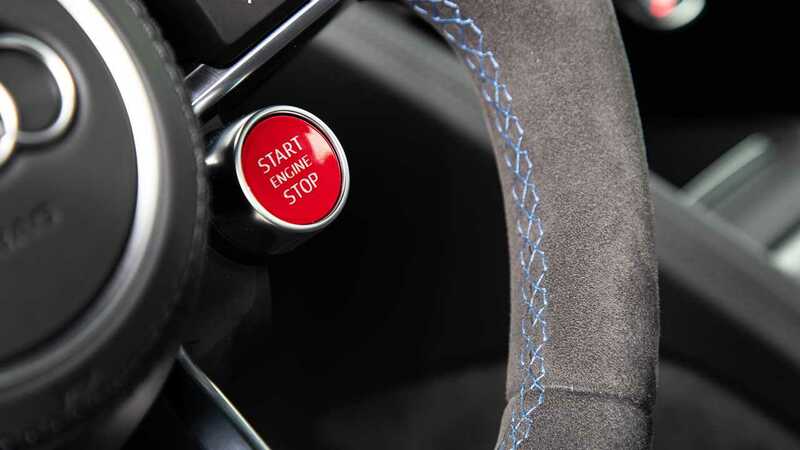 Anyone that regularly tracks their R8 or has a weakness for alpine passes should definitely order dynamic steering. But there's one aspect it can't hide either: The R8 is a bit heavy. Almost 1.7 tons pushes towards the outside of the corner when accelerating out. Nevertheless, the R8 remains manageable most of the time. 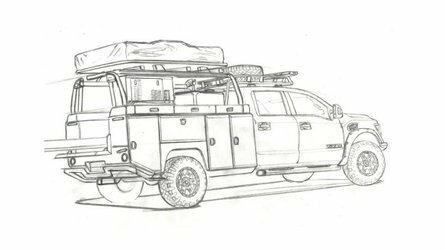 Still, a professional hand is advisable at the limit, when that big German rear end gets the wiggles – the mid-engine layout can turn the R8 into a rodeo horse that throws you off faster than you can say "ten-cylinder,” all-wheel drive be damned. 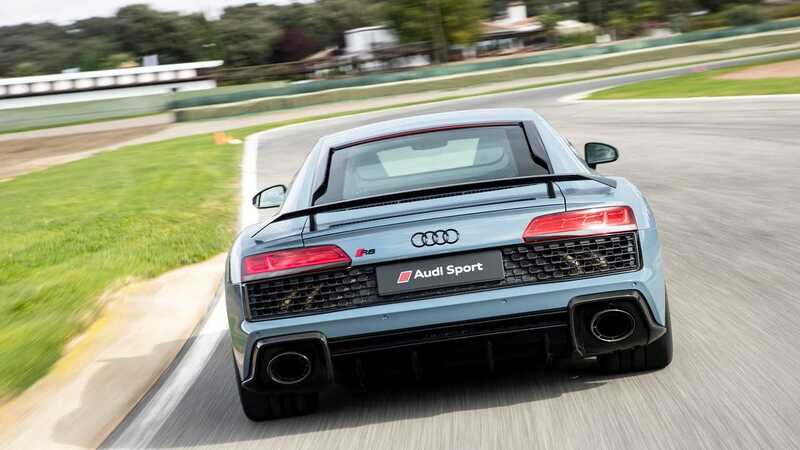 "With around 50 percent identical parts to the R8 LMS GT3 and even 60 percent to the R8 LMS GT4, no other car is as close to racing as the R8," says Oliver Hoffmann, Technical Director of Audi Sport GmbH. Mission accomplished, one can only add. Close to its limits, the revised Audi R8 is both demanding and fascinating. With more power, the choice between it and the Lamborghini Huracan is simply down to looks and price.